The right combination of experience, innovation, and action. Brent came to Snowfall Press in early 2009 after fifteen years in the investment management industry with Chilton Capital Management and Dyer, Robertson & Lamme in Houston, TX. He has held the Chartered Financial Analyst (CFA) designation since 1997. He holds a B.S. in Mechanical Engineering from the University of Oklahoma and an MBA from the University of Texas at Austin. 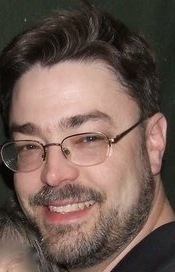 Todd founded Snowfall Software, the parent company of Snowfall Press in 2000. Seeing a need for a integrated hardware and software book printing solution, he formed Snowfall Press in 2007. Prior to Snowfall, Todd spent a decade at Sabre Decision Technologies, a division of American Airlines, where he architected and developed mission-critical logistics software systems for clients such as Toyota, Roadway Express, Kraft Foods, and Georgia-Pacific. Todd holds a B.S. and M.S. in Industrial Engineering from the University of Oklahoma. Mike is the owner of D&L Press, a printing company in Phoenix that has been in his family for 50 years. Prior to joining Snowfall Press in 2008, Mike ran the day-to-day operations of D&L for 24 years. D&L is known for using new and innovative technologies to serve its clients. Its partnership with Snowfall Press continues in this tradition. Don Olson is the CEO of Virtual Storehouse, a non-profit focused on leveraging technology to make Bibles available in other languages where they do not currently exist. In this role he works in partnership with Bible Translators and Bible Societies around the world and is a member of the Forum of Bible Agencies International. In addition, Don is the owner of Foreign Christian Books and focuses on developing strategies to get foreign language Christian resources to the increasingly diverse marketplace in N. America and around the world. He is accomplishing this through the use of innovative technologies and strategic partnerships in an effort to connect resources to the growing needs. Virtual Storehouse and Foreign Christian Books are powered by the innovative technologies of Snowfall Press. Don serves as a technology consultant with Snowfall Press to help authors and publishers leverage emerging technologies for delivering content.